Photo by Philip J. Currie thanks to the 10 sec. camera timer! 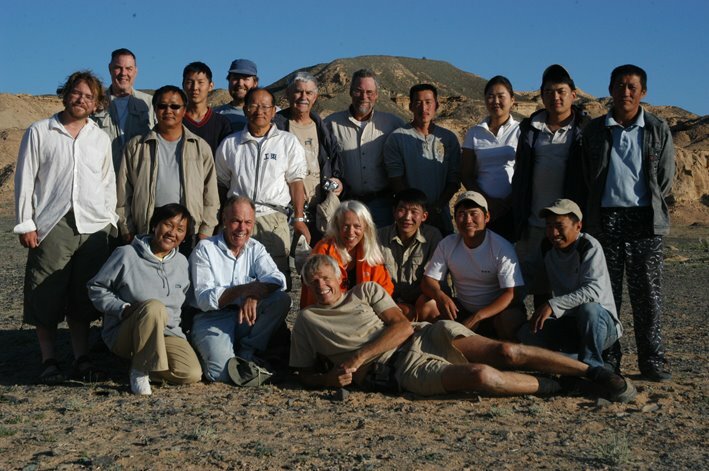 I'm now back in Ulaanbaatar having just finished up my stint with Phil & Eva as part of the Korean International Dinosaur Project. I'll have LOTS to post on this once I'm back in Cleveland next week including (if I can make it work) lots of QT video I shot on my pocket Nikon Coolpix -- watch for some great footage of a viper I took in one of the MANY Tarbosaurus quarries we worked. For now, here is the group photo from August's "Dinosaurs of the Gobi" trip I was on last month. And: hopefully the glitch that took the blog off-line for a while has now been fixed.